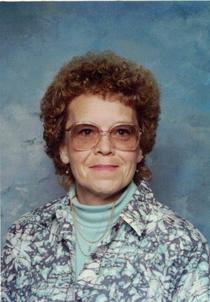 Virginia (Jenny) L. Stehle age 76, of Ashland, passed away Sunday, January 20, 2019 at her residence. She was born January 25, 1942 in Campbell, Missouri. Jenny had been a lifelong resident of Ashland. She had been employed with the Philway Corp. for over 40 years before retiring in 2005. She enjoyed quilting, flowers, butterflies and bird watching. On August 8, 1969 Virginia married Richard Stehle who preceded her in death in 2003. Survivors include her sons, Steven (Denise) Renner of Ashland, Douglas (Christina) Renner of Ashland, Anthony (Sun Re) Renner of California, and Kevin (CeCe) Renner of Texas; her daughter in-law, Rhonda Renner of Ashland; 15 grandchildren; 12 great grandchildren; her sister, Margaret Williams of Maryland; along with her brothers, Ben (Robin) Randol of Texas, and Jerry (Maureen) Randol of Tennessee. In addition to her husband Richard, Virginia was preceded in death by her son, Brian Renner in 2019. Funeral services will be held at Heyl Funeral Home on Friday, January 25, 2019 at 6:30 P.M. friends may visit with the family one hour prior to the service at the funeral home. A private burial is planned at Ashland County Memorial Park.